Everything you can do is because you are alive. 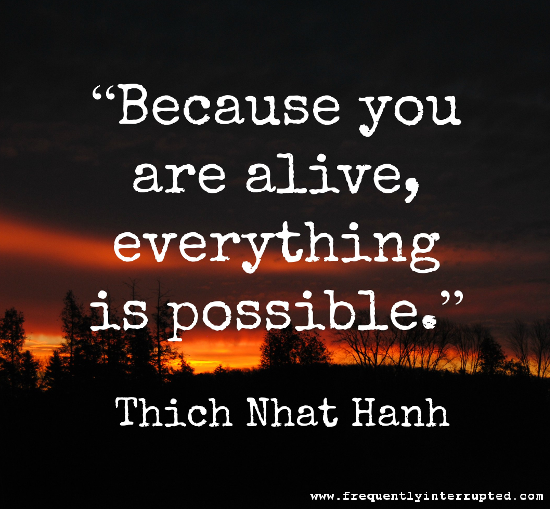 Because you are alive, everything is still possible. Don't give up. Where there is life, there is hope.